You will love this treehouse-like view, so peaceful and serene in this very well kept second-floor 2/2 plus den coach home in berkshire lakes. This unit offers volume ceilings, newer appliances with hot water tank and ac in great shape. Being sold partially furnished allows the new owner the convenience of moving in and making their own changes in time. This amazing location is walking or biking distance to the berkshire lakes shopping center, with a publix and walgreens and an assortment of restaurants. Not to mention just steps to a beautiful pool. Only 4. 3 miles to beautiful town and the beaches make this affordable home worth putting on your list. Beautiful view from this 2nd floor condo at sherwood iii. This is a 2 bedroom condo with a den, one car attached garage nicely done with stainless steel appliances, granite countertops, vaulted ceilings. New tile in the guest bath, lots of storage, new roof and so much more. Centrally located near the highway and close to publix for convenience. Take advantage of the amenities, 2 community pools, tennis court and clubhouse. Low hoa fees! Countryside verandas (groundfloor) reduced $60,000 for quick sale! This 2 bedroom, 2 bath upgraded ($25,000) unit and move-in ready for the season. All tile floors in main living areas, for easy maintenance, rich wood floors in both bedrooms. Newer a/c, all new appliances (2017) and roll-down electric hurricane shutters for both front + back lanai's giving you storm protection and both sunrise views and sunset views. Countryside is bundled golf included. Beautiful clubhouse restaraunt + lounges. New state-of-art fitness center, active tennis center with all hardtru clay courts, bocce courts, library, golf practice range and a very active social calender. Just a few minute ride to downtown olde naples and the beaches. Home comes with one-year home service warranty for total buyer comfort. This is a premier best value property buy! 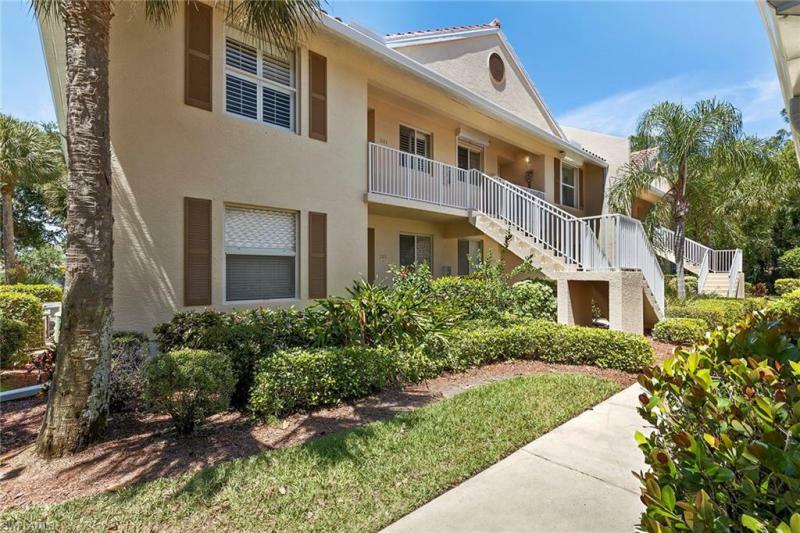 This second floor, two bed, two bath condo in sherwood offers beautiful sunset views from its screened lanai. The living area boasts vaulted ceilings, newer wall to wall carpeting, granite kitchen counters, a murphy bed and is newly painted. Sherwood has brand new roofs and was freshly painted in 2019. The community offers two pools, a clubhouse, tennis, pickleball, fitness center and is fifteen minutes to olde naples and 5th ave, all for under $200,000!